Sakhalin Island looks like an enormous sturgeon: it has the nose (Shmidt Peninsula) directed north, wide opened mouth (Sakhalinskiy Bay), long and sharp dorsal fin in the east (Terpeniya Peninsula). The tail of the fish is almost reaching Japan. The western blade of this caudal fin is named Krillion Peninsula. Here I met the Sakhalin mustangs. 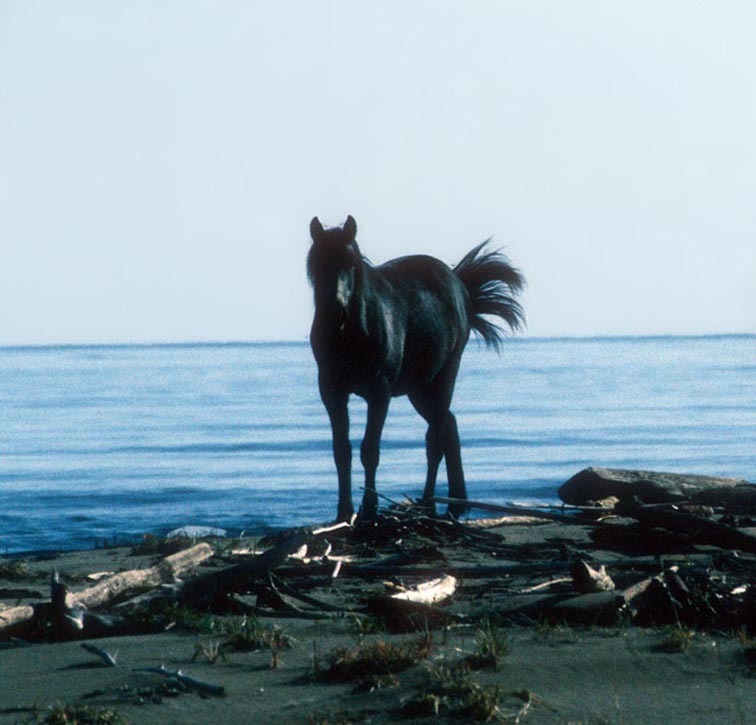 A few horses were living for many years near an abandoned settlement at the mouth of the Naychi River. In June, when is this picture was shot, the horses feel good, but how do they survive the long Sakhalin winter, when the island is heaped up by deep snows? 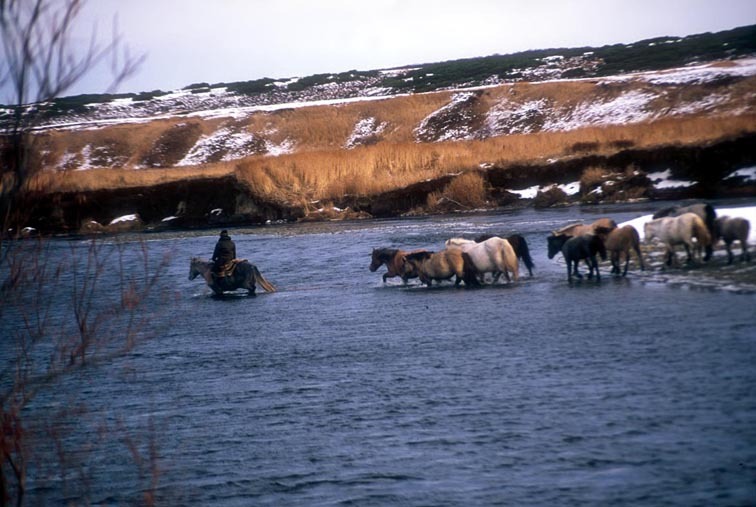 The horses at the Naichi River, Sakhalin Island. 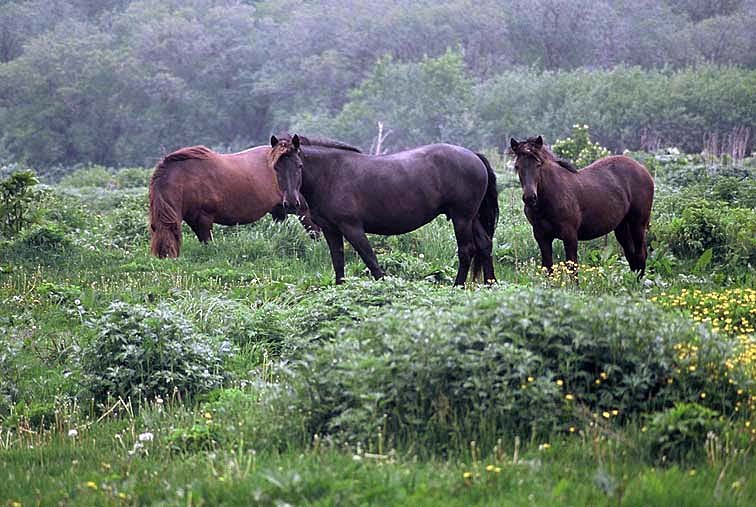 Into the tundra of north-western Kamchatka the horses got not by chance. Someone suggested use them for herding the reindeer, and the idea appeared successful. The Yakut breed of horses feel fine in a strange climate — not as harsh as in Yakutia, but windy and damp. The whole year round they graze in tundra without every care or additional feeding. 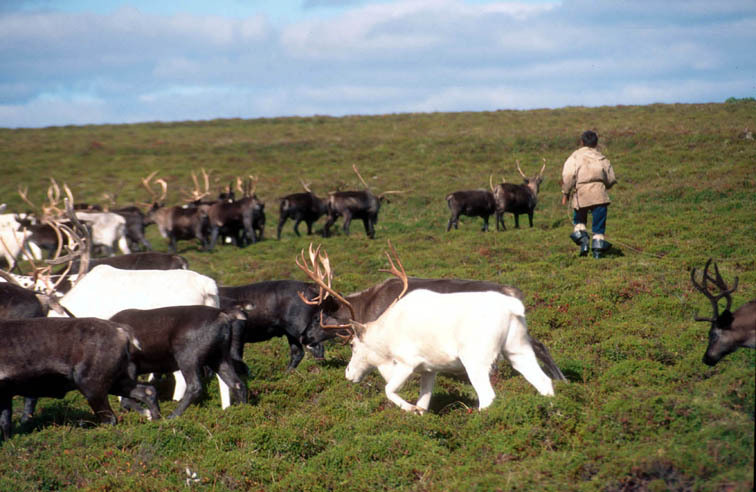 Traditionally the Koryaks were herding their reindeer on foot or from the sled. It is not Wyoming, and not Mongolia. 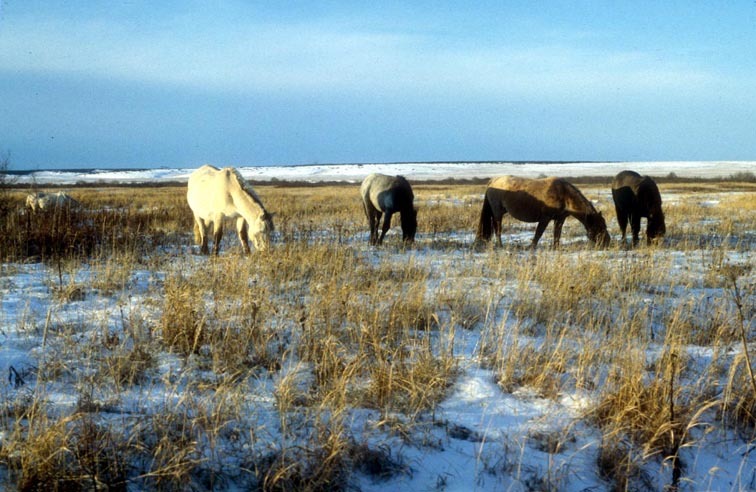 The Yakut horses graze in tundra of western Kamchatka. 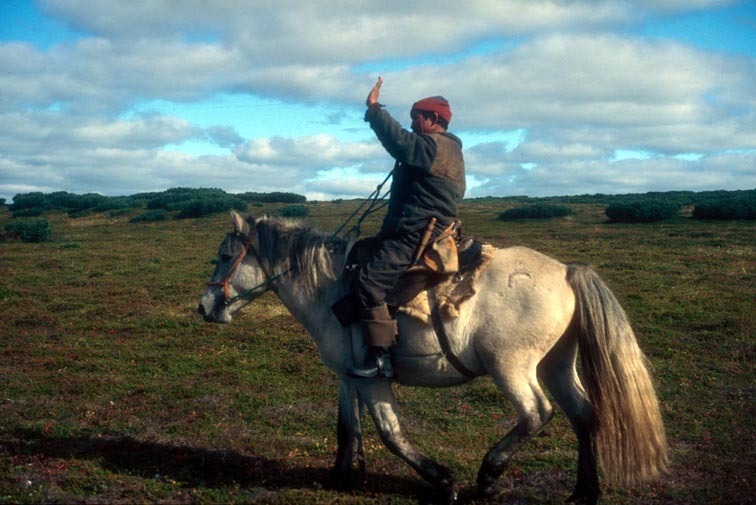 Some of the native Koryak reindeer herders now ride horses as well as the Mongols. Now we could call them deer-boys.